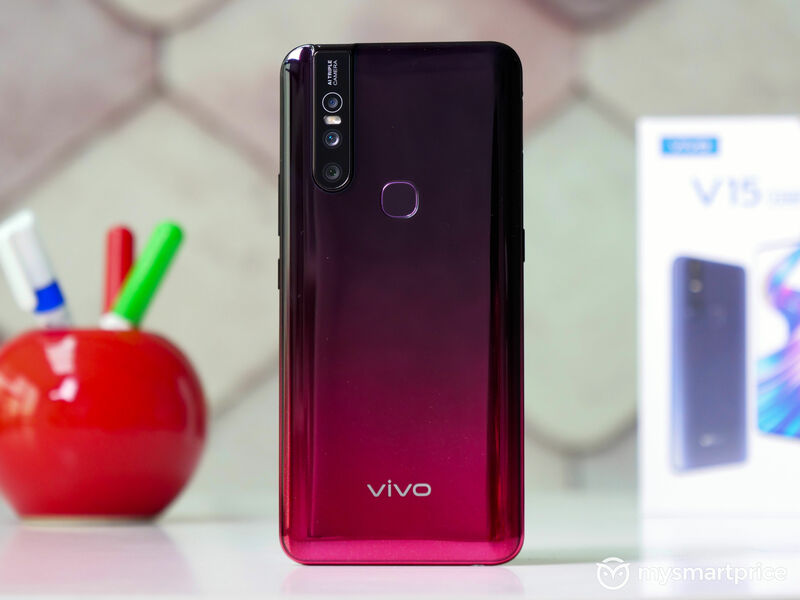 It’s been a few days since Chinese phone maker Vivo launched its upper-midrange handset the Vivo V15 Pro in India. 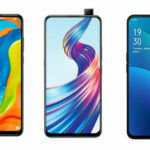 Just days after the V15 Pro was launched, we had reported about the possibility of Vivo coming up with a slightly stripped down, and affordable version of the same handset called the Vivo V15 here in India. In fact, Vivo officially launched the V15 in Thailand a little less than a month ago. 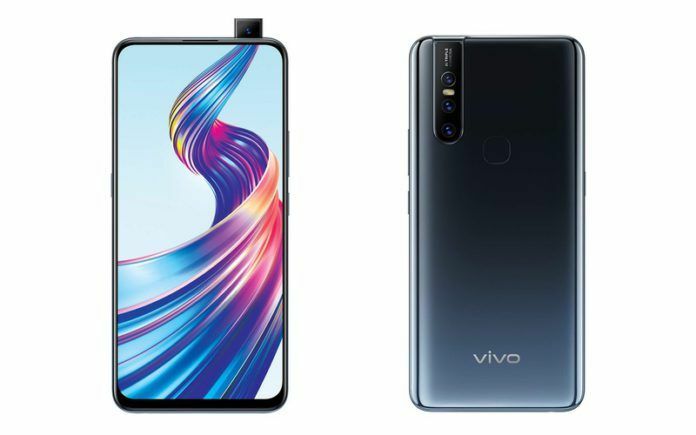 Since then, speculation was rife over the possibility of Vivo launching this handset in India. Initial expectations were that the V15 would make it to India by March 15. That, however, did not happen. 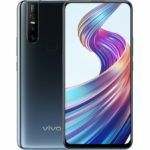 Starting today, March 25, 2019, however, the Vivo V15 will be on pre-order on both Amazon and Flipkart as well as all other offline retailers. The phone is expected to be on open sale in the next few days. Anyway, let us now check out the specifications of the Vivo V15 in detail. Like the Vivo V15 Pro, the V15’s key talking point has to be the pop-up front facing camera. Even though the V15 is a ‘stripped down’ version of the Pro edition, we are happy to see that the company has retained the pop-up camera mechanism on the cheaper device. This is unlike OPPO who launched the OPPO F11 without the pop-up camera similar to the one on the F11 Pro. The V15 also retains the 32-megapixel front facing camera seen on the pro version of the phone. As for the differences, the display on the V15 is larger than the one on the V15 Pro with the former measuring 6.33-inches across and the later just 6.3-inches across. Vivo has not revealed whether the panel is of the IPS LCD type or an AMOLED. What we do know for sure is that that V15 gets Corning Gorilla Glass 6 for durability. The V15 also skips the in-display fingerprint scanner in favor of a traditional rear-mounted fingerprint scanner. Moving on to the juicier bits, the V15 Pro finds itself being powered by the Mediatek Helio P70 SoC instead of the Snapdragon 675 chipset used on the V15 Pro. The P70 SoC also happens to house the Mali-G72 MP3 GPU for graphics. In India, the V15 is offered in a single 6GB RAM +64GB storage version. Users also get the option to augment the storage further using microSD cards. In an earlier report, we had talked about the possibility of the V15 being priced at around the INR 23,000 mark. True to our prediction, the company has priced the phone at INR 22,990. 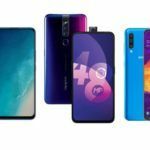 This, of course, means that the V15 will compete directly against the OPPO F11 Pro which is slightly more expensive at INR 24,990. As mentioned earlier, the V15 is now on pre-order and we expect the handset to be on sale in the next few days. The phone is not nice, guys.